This month marked the 25th anniversary to the already forgotten crimes against humanity committed against the Iraqi people during the First Gulf War. These crimes are not only forgotten, but most of those who committed them under the banner of the “Coalition Forces” are still free and probably either acting as advisers, consultants, or policy-makers for more such crimes to be committed elsewhere, or they are happily retired on some quiet, peaceful, and colonized island. 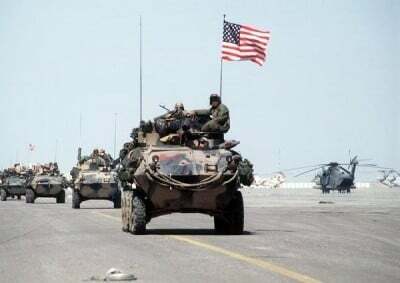 The First Gulf War is known as the “reaction” of the so-called “international community” led by the Coalition Forces to Iraq’s catastrophic invasion of Kuwait. As a primary school child during those years, my head still carries so many memories, images, scents, and deaths, that I have documented in my diary over the years. Today I would like to share with you a selection of my diary pages from that period as I originally wrote them, with no changes, except for linguistic and editorial purposes related to length. When the First Gulf war started in 1991, I was a child who had a strong passion for raising chickens. I had four chickens of different colors, and my favorite was a black and white one with sharp and beautiful orange-colored eyes. My four chickens were also loved by the other members of the family, mainly because they laid eggs. For me, however, my love for raising chickens was beyond the material benefits gained from them. I spent a big chunk of my day observing their behaviors: how they ate, how they played, and even how they laid eggs in the coop that I built for them from cement blocks. My time was divided between school, doing homework, and spending time with my chickens. They were my indispensable friends. I did not like to mingle with school children so much because I had no mutual interests with most of them. One incident I still remember vividly is the first day my favorite chicken laid her first egg. I was near the coop watching her trying to lay her first egg. I was overjoyed that the long-awaited day had finally come. She spent a long time trying to let the egg out, but with little success. After some time, I heard a loud noise of what sounded like a heavy explosion outside. The sound startled both me and my little chicken, a thing that forced her to release her first egg onto the coop’s muddy floor and it broke—the first Gulf War had started. Our neighbors in Kirkuk at that time were mostly nice people, with whom we built rapport since we moved to the neighborhood. The wall-to-wall neighbors were especially kind and helpful. They were a Shi’ite family from the southern Iraqi city of Najaf. During the early days of the war, my father, like many Iraqi men then, was drafted by the Iraqi state to enroll into what was then called al-Jaish al-Sha’bi [the popular army], which consisted of poorly-equipped groups of supposedly “civilian volunteers” to form defense units during wartime. As noted, the “volunteers” were forced by the state to join these groups. At any rate, my father was put with a group of other men to “protect the surroundings of Kirkuk”. However, as soon as the bombing started, most of his mates escaped, and he found himself along with two other men out of nowhere. We had no clue where he was taken at the time. We were not even sure whether he was living or dead, and as the bombing intensified and the electricity went off in most parts of the city, we were frightened in our house, and we did not know what to do. My mother was pregnant at the time with my youngest sister. The louder the bombing became, the more we were intimidated by it. In fact, my young sisters started crying and my mother did not know how to console them. During the early nights of the war, when we, the children, started crying out of fear, the mother of our wall-to-wall Shi’a neighbors came to talk to us over the wall and said that she knows my dad is not home and we are scared just as they were, but she suggested that we should join them for the night and, in her words, “if we die, we shall die together; if we survive, we shall survive together.” The power was off all the time, which made the bombing even more intense and frightening. There was a total blackout. Some people said that this was a tactic used by the government to keep it dark to make it hard for the American planes to find their targets. When the night fell, it felt like there will be no more mornings to come. The nights were so cold, dark, rainy, lonely, and long. There was also no water at all. The only way for us to get water to drink was by collecting rain water. We put a big, wide pot in the middle of the garden, and waited for it to collect rain water. After rain stopped falling, we went to the garden to see that the pot was filled with black water (water mixed with the residue of bombs, smoke, gases, and God knows what else in the air). We waited for the black particles to settle down, and then used it as “drinking water”. We did this throughout our stay at home in the First Gulf War. At this point, my family’s life was reduced into: A lost father, frightened and crying children, darkness, shortage of food, water, and heat, and uncertainty surrounding every corner of our lives. I will never forget sitting in the living room of our kind neighbors on the floor with some pillows behind our backs and their father reading to us stories on the light of the lantern to distract us from the loud sounds of bombs and missiles thrown on places we did not know, but sounded like they were exploding right inside our ears. One morning we saw many people gathered around one house nearby, and when we went closer, we found that a bomb had been dropped on that house the previous night and the entire family was dead. By the time I arrived there with many other people in the neighborhood, the bodies were taken away, but the images of the house that was totally demolished were so devastating. I still remember paying attention to the details of the scene such as the crushed closet with clothes, utensils, ties, sheets, and kitchenware, crushed fridge and furniture, all mixed with cement, blood, and rubble. Spending the nights with our wall-to-wall neighbors continued for a few days until they were too scared to stay in the city anymore, especially after many rumors started spreading about how the war was going to intensify and more blood was going to be shed in Kirkuk. People in our area were especially frightened by the thought that if the regime is toppled, and the Kurdish forces invade Kirkuk from the north, some revengeful massacres were surely going to take place. When there is nothing but darkness, I think it is easy for people to both spread rumors and subscribe to them at the same time. As the old saying goes: “They lie and believe their own lies.” Our neighbors decided to escape to the south, where they at least had their extended family. Some of the rumors that people started spreading were that the Coalition Forces had “won the battle,” and that “the Kurdish forces are on their way from the north to revenge and kill all the non-Kurds in the city,” since Saddam’s regime was no longer in place. This was the time when people thought that the Kurds and Shi’a were going to get the full American support and blessings for their intifada. Others said that Iran will start bombing to avenge the damage Iraq had caused them during the eight years of the Iraq-Iran war, and on and on went the rumors. There is no doubt that a chaotic environment is a perfect one for spreading rumors. People in the times of war and conflict can be like flocks of sheep heading towards any destination they are told is the “safe” one, even if it is in fact a fatal one. It is precisely during such times that people lose all sense of direction. As the war progressed, our neighborhood became almost empty, the doors of the houses were wide open, living cattle and poultry were left in the streets with no one to take care of them or feed them. Since I loved animals, I wanted to gather all the animals to take care of them, but of course it was the most impossible wish to fulfill. My mother said, “Your four chickens are enough burdens for us at this time when we can barely feed ourselves.” As the neighborhood became almost empty, my mother’s fears increased. She started to take these rumors more seriously; her main fear was that the Iraqi Army could indeed enter the city and clash with the Kurdish forces, the Peshmerga, and we could be caught up in their fires. A very poor family occupied one of the houses in the same row on our street, and they were one of the few families who had nowhere to go to. Their father told us that there were still a few buses in an area about an hour and half by foot from where we lived. There, he suggested, we could find buses going to the north. So, by that time, we had no direction to go to other than head further north, even if it was not any safer than Kirkuk. Despite the constant bombing, and at this stage, the absence of any means of communication and the extremely limited transportation, my mother decided to walk us to the bus station and try to take us all to the north, hoping we could find a better shelter there, but knowing well that there were no guarantees whether we stayed or left. This is exactly how the destruction caused by war feels: leaving or staying become the same. Life and death become the same. We packed two small bags that contained some warm clothes and what was left of the bread we had in the house—bread becomes the dearest and most sacred item during wartime. We walked for about two hours until we reached the bus station where we found no buses at all. Instead, there were hundreds of people (mostly Kurds and Christians) waiting for the next bus to show up. There were very few buses showing once in a while to help these people go to their unknown destinations. Every now and then a bus arrived and all we could see was how the bus got loaded with people before coming to a full stop. People were running for their lives in the most frantic way I have ever seen in my life. For me, as a child, it was both shocking and fascinating to witness at that early age how people behave during wartime. People, I thought, can be incredibly cruel unpredictable, and destructive when it comes to their survival during wars. Even at that time, I found it quite ironic that humans have to be so cruel and destructive for the sake of survival. Since then, I often wondered what better captures our human nature: the way we act during times of conflicts or the way we behave during times of “peace”. Even more, I always wondered whether peace ever exist anywhere in our sad and lonely world. We did not have much luck in catching a bus until it started getting dark. As we were waiting to cling to any bus, we met another Christian family, much smaller in number than us—two women and two children close to my age. One woman was the mother of the two children, and the other was her sister-in-law. Their story in many ways resembled ours. Their father, too, was forced to join the popular army and they had no idea what had happened to him. They were too scared to stay home, and so decided to escape northward seeking safety. After a small chat with the family, we liked each other and decided to stick together throughout our upcoming journey. Before the end of the day, we somehow succeeded to get on a bus that was headed to Erbil. All I remember is my mother and the other two women holding our hands tight and running as fast as they could to catch the bus despite the crowd, a feeling that was like a stampede. The next thing I remember is being on the bus, and the heavy rain falling outside—we were heading to Erbil. The fuel crisis was serious in Erbil too. It was impossible to find a car to reach our final and safe destination, which was unknown. We were just going with the flow, along with hundreds and thousands of people. In Erbil, however, the war was more severe and there was a conflict between the Kurdish forces and the Iraqi Army. People were running away with their bags, luggage, and children. I saw people getting so tired of running that they were getting rid of their loads little by little just to save their lives. Though war is disastrous and no human being deserves to go through it, I always remember people throwing away any possessions they were carrying just to survive. In a way, this makes me think about how owning anything is never as important as saving one’s own body and soul in the end. If people understand this lesson under normal circumstances, will they still be striving to own things or consume the way they do in many places around the world? If they understood this during times of “peace”, will there ever be wars on our planet? As the bombing of the tanks and airplanes continued, people kept running and throwing away their loads gradually. First, bags, then food, then water, then, I always feel sad when I come to this part, some women got so tired of carrying their little children that they left them on the side of the road and kept running for their lives—or perhaps towards their deaths? While running with many people, I saw one woman with two little kids on her shoulders. She kept running and looked extremely tired. At some point, she became too tired to carry her two children, so she put them both in a big hole on the side of the road and carried on. That was one of the harshest moments of forced abandonment I had ever witnessed in my life. To this day, it makes me wonder what “love” is, how much can one really love, what are the limits of love? It was sad to see people get rid of their ration food when it was the most essential thing for their survival at that time. They were unable to keep even the most basic items for survival, because of tanks behind their backs firing left and right, and the planes over their heads throwing bombs haphazardly. My mother was struggling to keep us around her while running and holding our hands and looking in all directions at once. I still remember how I released myself from her dress and went to look at a deep hole caused by a bomb where I found four living chickens left behind by somebody. I wanted to go down inside the hole, grab them, and take them with me. Before I knew it, my mother pulled my hand, dragged me, and kept running. As we kept moving, we kept our eyes open trying to find another bus to take us to our next city, Sulaimani, but finding another bus was proving increasingly difficult with every second ticking away. In a warzone, seconds matter and can well become a matter of life or death. As the bombing became heavier, it became impossible to keep running, because now we started seeing the tanks of the Iraqi army only a few meters behind us, while the American planes were bombing from above. I still remember my mother shouting at two Iraqi soldiers at the top of the tank and asking why they were doing this to people. “Don’t you have mothers or families,” she shouted at them. We reached a location near Erbil city center, and people said that one of the big buildings there had a safe basement where many families sheltered themselves waiting for the bombing to slow down or stop. We followed people and entered the first floor of that big building that looked painted in yellow from the outside, but the painting had started fade away, a thing that made it look like it was painted with rust. Inside the building, we found stairs leading to the shelter that was full of families. After about half an hour of waiting in that shelter, packed with the hundreds of people with hardly any space to move one’s feet, the sound of missiles and bombs became louder and scarier than ever. While waiting, my mother was chatting with a Kurdish family of a man and his wife who had two college-age daughters who looked in their twenties. The man looked like he was in his late fifties. He spoke the same Kurdish accent spoken in Kirkuk (Sorani), so I understood what he was saying. He was telling my mother that he thinks if this building gets bombed, it will be fatal for us all. He advised us to join them and leave the building immediately. My mother was reluctant to take his advice, but after negotiating it with the Christian family accompanying us, they agreed that he was right. Everyone seemed to know that it was a risky thing to do, but we decided to follow the man and his family out of that basement. It was the most serious act of gambling to take given the time, the place, and the circumstances. As we were crossing the street, the building became on the other far side of the street. Meanwhile, something happened and changed my view of this world and humanity. We heard a loud sound of a bomb mixed with the shattering of glass and rubble. It was so loud that it felt that we would lose our hearing after it. The entire building in which we were sheltered a few minutes ago collapsed over the families who were left there before our eyes. Those left inside became in the past tense in a matter of minutes. That memory is still frozen in my mind just like an old painting in an old museum. Although we survived because we left that building, when I think of the destiny of the people who stayed in that shelter, I refuse to attribute this to “God’s care,” because how could God love some of us more than others? I equally refuse to attribute it to “luck”. In fact, this disaster often makes me question the very notions of “luck” as we know it. I think if one has to really think of it as a matter of luck, then it must be that the people who died there were “luckier” than us, because, as Plato says, “only the dead have seen the end of war.” I have learned that surviving a war is never a matter of luck, because we never heal from its wounds, and it never dies or ceases to exist inside the heads of the “survivors”. At the same time, I believe that the people who died inside that building would have been the most qualified witnesses to tell us how catastrophic the first Gulf War was. At this point, all I feel is that the hundreds of people who most likely died there became a wound in my heart that will never heal. They have become a stigma on the foreheads of the entire international community that let such appalling things happen to innocent people under different pretexts like: “Fighting a dictator,” “fighting terrorism,” and “liberating the oppressed,” and so on and so forth of such hypocritical rhetoric that continues to this day in other selected Middle Eastern countries. After a few hours of waiting inside another shelter that was about a ten-minute walk from the demolished building, we decided to resume walking. After about an hour of walking under the rain, we reached the outskirts of the city and the scene changed from buildings and streets to wide, green, and muddy fields. The speed of our footsteps was in tune with the hard rainfall. In an ironic sense, our walking was like a military march in itself. This continued until we glimpsed a few houses in the outskirts of the city. We knocked on the first door and the door opened. A woman of average height, rather overweight, with green eyes, and dark skin asked: “Hello, how may I help you?” My mother briefly told her our story. She told her that we needed any kind of shelter even temporarily and anything edible, because we were starving. At that time, we had not eaten anything for about two days. The woman burst into tears as she started telling her own story which was no less tragic than ours. She told us that her husband was lost and she, too, does not know whether he was living or dead. The kind woman let us into her mud-brick house. There was barely any furniture in it. On the floor there was a shabby red carpet. The bed and sheets were unmade on the floor. They looked filthy and smelt badly. There was an old fridge in one corner of the living room. The house was entirely dirty and looked like it had not been cleaned for weeks. There were four young children who looked like they had not had a shower in weeks also. They were playing on the floor unaware of what was going on around them. The woman swore that she had little food left: some eggs and a few pieces of flat bread. Yet, she said that she was happy to share half of what she had with us, hoping that we would find a car as soon as possible to take us to our next destination. She also smiled and said, “I can make you some tea, but there is no sugar in the house, and you will have to drink it bitter!” My mother agreed wholeheartedly because she loves tea. The three women laughed as if to let go of a big pain they were carrying in their chests. In such situations, I have learned that laughter is a gift to people, especially in the time of war. Laughter is healing and it defeats some of the horrors of war and destruction. The woman prepared scrambled eggs with the little bread she had for us, and made a pot of tea that was served bitter—like our days. The food was gone in a few minutes. I found it hard to eat from the pan in which she cooked the eggs because it looked like it had not been washed since its first use. Perhaps because of the shortage in water, she cooked in it several times without washing it? The kindness of that woman at the most difficult time a human being can go through—a war—is something that this entire humanity should not only recognize, but also learn how to emulate. Her kindness did not end there. She went as far as going out in the village to ask her neighbors whether they knew of anyone who could help us reach our destination to be in a safer place. Eventually, she found a man who had a pickup truck and was driving somewhere near Sulaimani. She begged him to take us with him. He did. I still clearly remember how dark and gloomy the rooms of the church were. The rooms were square-shaped, without windows, and with depressing, dimmed lights. I think the fact that the war was in progress, and we had been away from home made everything look even darker than it was. It felt that there was no difference between days and nights. All I could see as a child was an endless dark tunnel with no light in the end. It felt like the sun was not going to ever rise again, and there was little difference between the light outside and the light inside those rooms—nothing but endless darkness. It was perhaps in such days we learn how to see so much and better in darkness. One of the biggest surprises to us was to meet the same family we had met in the building that collapsed in Erbil (the Kurdish man who convinced us to leave that building before it was turned into debris and rubble). The father, I learned later, was a history professor. Both parents were professors and the daughters were undergraduate college students. They liked my mother and spent hours discussing literature, despite the time and the place, or perhaps because of them? I think in times of war and death, books become a means to remember and to forget the pain. At the end, they asked us and the Christian family to join them and go to the Iraqi-Iranian borders. They heard that there were many humanitarian organizations there providing better care for refugees and registering them to be resettled in Scandinavian countries. We joined them and took the trip to the Iraq-Iran border. Once there, we found thousands of Iraqi families living in tents waiting fate. There were flags all over the place, each representing one of the humanitarian organizations involved. The humanitarian organization flags looked like multiple countries divided by tents next to each other. It was as though each organization was promoting itself by displaying its logo on each and every item they handed the refugees and displaced people. Human beings are so brainwashed with flags and logos that they do not seem to be able to function without them even under the most difficult and pathetic conditions. During our stay there, the Kurdish family tried to convince my mother to join them and register with one of the organizations helping Iraqis to get resettled in Europe. The professor was overjoyed at hearing about this opportunity. He told us that we should go for it. My mother refused firmly and told him that she cannot possibly leave without knowing what had happened to my father. The professor argued (a thing that professors like to do even in warzones) that if my father was still alive, he can always follow us later. If he was not alive, there was no point putting our lives in such a risk with an uncertain future by going all the way back to Kirkuk. My mother insisted on her position and said that she was not going anywhere without my father. Indeed, many people staying in that camp were resettled in Europe, but my mother decided that the only way to know my father’s fate was to return home for it is the only place for him to return looking for us, if he was still alive. This story was my first lesson about the meaning of love and how far one can go to reconnect with the ones they love. To me, apart from the sufferings and the ugliness of the war that surrounded us, my mother never lost sight of how much she loved my father, despite the difficulty of having to make such a hard decision. A pregnant woman refusing to save herself and her six children for the sake of the man she loves. Many of the families staying at those camps left and we returned home when the bombing phase of the war was over. This was the time when Iraq and its infrastructure were fully destroyed, the Coalition Forces withdrew from Iraqi territories, and Saddam’s army was severely punishing all those suspected in having participated in the uprising against its regime. So, as the world well knows today, Iraqi people were crushed and purged twice: once by the barbaric bombings of the Coalition Forces, and then by the retaliation of Saddam’s regime, after the former withdrew from Iraq and left Iraqi people in the hands of the latter. To this day, one of the things that really hurts most Iraqi people is the number of people who have lost their lives, especially after the lie called the “liberation of Iraq”. How can criminals—Western governments—liberate people from another criminal—Saddam? Most of the world doesn’t seem to have learned this lesson to this day, it seems to me. We went all the way back to Kirkuk through the same route. On the way back, I remember the dead bodies from a close distance when we were walking in the streets of Erbil. I was shocked, devastated, and appalled at what I saw. I stopped in the middle of the street to closely look at one of the dead bodies. It was a man in a military uniform with so much blood around the area of his chest. His face looked grey, as if covered with ashes of cigarettes. His eyes were wide open as if in protest for one last thing he needed to do, say, or see, before his life was put out forever. The body was scary and those images are still vivid in my head as if it was yesterday. My shock increased as we walked faster only to see many more dead bodies in the street. They were everywhere. The horrific scenes of dead bodies, hanged bodies, blood, broken glass, and destruction continued all the way home. We were able to find a bus on its way to Kirkuk, and my mother decided to take us back home. I was sitting next to the window in the bus. In the background I could hear my siblings making noise and talking. My mother was also chatting with the two women from the family that remained with us throughout entire journey. I was looking through the bus window at the scenes of destruction. I was trying hard to capture each and every image because the scenes were moving fast through the bus window, but there was a strange voice in my head asking me to register what I have been seeing; to capture those ugly scenes of death and destruction into my mind to speak about them for the rest of my life. Perhaps that was the voice of justice in a child’s mind telling him that this is what adults are good at doing in this world, and that I have to refuse the role of becoming an adult like those who practice death and destruction. When we arrived in Kirkuk, we said goodbye to the family, which, like us, was hoping to go home and wait for any thread that may lead them to know about their father’s destiny. We knew that we were going to see each other soon, but the goodbye was still sad because of the context in which we met them and all that we had gone through together. On the way home, the neighborhoods looked empty; the streets looked like they were all assassinated. When we arrived home, our house looked dry though it was spring time. My dad was there. It was the first time I had ever seen him cry. My mom said that it was the second time (the first was when my oldest sister was born). Seeing him again was too hard to believe. After our long, tiresome, and scary journey, it was hard to believe that the family was reunited again. He told us that he had gone through times that were even worse than ours. Most of the people who were with him ran away when the bombing intensified. He found himself with a couple of his mates out of nowhere. They walked for days and nights without any food. They had to drink rainwater from dirty ditches to survive. Before they became close to Kirkuk, they passed through many villages. In one village, they talked with some strangers who provided them with shelter, water, and food. Strangers, once again, had proved to be kind and caring. One of the unforgettable things was that, as he passed through another village, one kind villager gave him a pot of yogurt for the rest of his journey, but he did not eat it. He wanted to come home as soon as possible to find out what had happened to us. In case we were still alive, he wanted us to enjoy the yogurt with him. We did. For that time, and under those circumstances, it became the yogurt of life. This was just the beginning of what followed in our lives: a much longer and more devastating journey of thirteen years of UN sanctions that must be considered by any conscientious human being as one of the biggest crimes against humanity committed in the 20th century against the Iraqi people. The trajectory of what has been done to Iraq and its people (and now to many Middle Eastern countries, like Syria) are so horrific and genocidal that they must put each and every person around the world squarely in front one and only one question that is worth asking about the region, that is: when, why, and who decided to turn most people of the Middle East into a target for systematic extermination? This, to me, is the only scholarly question worth asking and confronting by any honest writer and thinker studying the region. The sad story of what happened during the UN sanctions imposed on Iraqi people is to be continued when I decide to rip more pages from my diary to share with you. Today, after 25 years have passed since the First Gulf War crimes against humanity, the world is at its worst and humanity doesn’t seem to have learned any lessons from it whatsoever. Why do I bother writing all this, you may ask me? Although, deep inside, I feel that all my writing is no more than words written on the walls of indifference, I still want to bear witness to what happened. I still hope that there are people left around this world who will read this testimony and whose hearts, minds, and homes will become like shelters to protect these stories from being totally forgotten and erased from humanity’s short and awful memory. I still hope that one day the seeds of my alphabet will grow and bloom creating a more tolerable world to live in. Louis Yako is an Iraqi-American poet, writer, and a PhD candidate of cultural anthropology researching Iraqi higher education and intellectuals at Duke University.